All week long in another WrestlingDVDNetwork.com exclusive, we’re revealing matches, moments and other juicy details in the works for WWE’s new RAW after ‘Mania-themed DVD! “WrestleMania Monday is RAW” landed on the 2017 WWE Home Video schedule earlier this month, with its release date already being moved forward to ensure the anticipated 3 disc DVD and 2 disc Blu-ray hits stores, and our collections, on the road to WrestleMania 33. 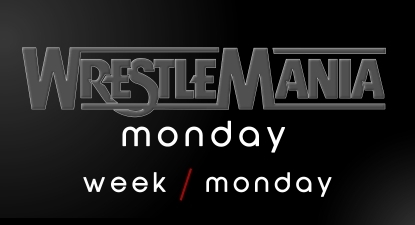 We hear that the title is now simply “WrestleMania Monday” — but its content will still be packed full with a documentary portion, “deleted” scenes, and almost 30 extra features. The reveals start now, confirming the inclusion of several iconic moments from the RAW’s after WrestleMania 11, 14, 18, 27, and 30; one of which proved that Stone Cold Steve Austin will never be employee of the month; another that the spirit of the Ultimate Warrior will run forever! — The Next Big Thing! – USA: March 21st. Pre-order the Mania Monday DVD very soon here on Amazon.com. – UK/Europe: April 3rd. Pre-order the Mania Monday DVD very soon here on Amazon.co.uk. – Australia: TBA. Look for your chance to grab a copy over at Madman.com.au. ALL WWE DVD PRICES HAVE JUST BEEN SLASHED!! 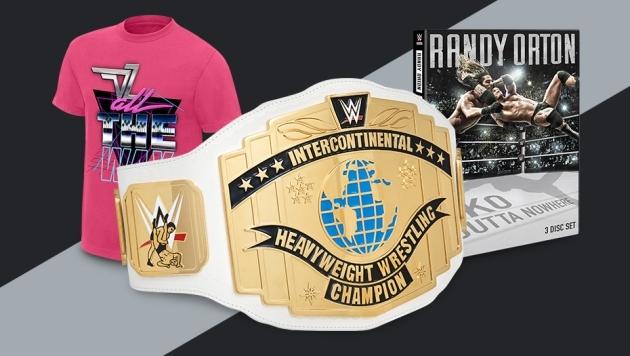 WWE have today rebooted one of their classic “Titles, Tees And DVDs” sales which this time sees the entire stock of DVD/Blu-ray titles on the site dropped in price by 40%. Click here to WWEShop.com, select any DVD, and the discount will be applied without a promo code. Some goodies in the sale include: recent PPVs for $5.99 each, Blu-rays as low as $10.79, the big 3 disc sets of late only $11.99 each, and their Blu-ray counterparts for $14.99 each. And remember, with multiple purchases you can take advantage of WWEShop’s flat-rate shipping. Find all of the DVDs or check out hundreds of other deals in “Titles, Tees And DVDs”. that should of been on the best of raw and smackdown 2015. !!! Even though this set will have loads of repeats, this is DEFINITELY a set worth buying!! I just hope for Stone Cold Vs. The Rock in the Steel Cage after WM X-Seven. I’m gonna pass on a bunch of repeats! We’re obviously going to get Ziggler’s cash-in and Brock 2012 return, stuff like that. Yes!! I was hoping the Raw from 1995 would be on this where Sid turned on HBK!! Nice!! Here’s a crazy idea that will never happen: how about show the Nitro responses on the same night from the era when they opposed Raw. Most of these aren’t going to be matches. There will be some, obviously, but most of the things your mind will inevitably turn towards are moments, not matches. Good start so far. I’m personally hoping to see HBK’s farewell, Edge’s retirement speech and Ric Flair’s emotional send-off make the list. Somehow I doubt they ALL will but let’s see…great start so far, I’m looking forward to this one! Self-confessed Rookie Error alert: Edge’s retirement speech is ineligible because it was 8 days after ‘Mania – sorry! Edge’s speech was actually 8 days after Wrestlemania. As expected: this will likely be filled with repeats, judging already by these first reveals. And with the theme, how could it be any different. Have them all, maybe except for the Sid/HBK encounter..can really not remember if it is on one of the many Michaels releases..but, since it is Sid, I can really not be bothered..
My favorite feature: Dvd/blu ray set reveals, and this set is off to a good start.